Award your biggest star our beautiful Blue Starfish Art Glass Award! 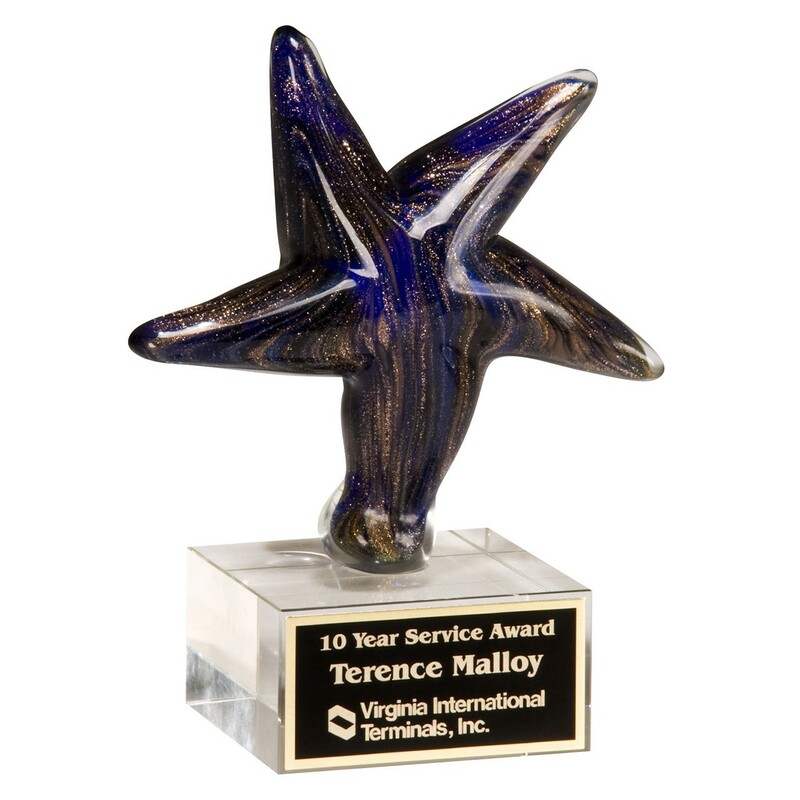 This award features a cobalt blue starfish glass piece with swirling gold metallic highlights. The sculpture is attached to a clear glass base, complete with a custom black plate with your personal engraving in gold letters. Not only a lovely award, but this is a piece of art to be treasured! Size is 6 7/8" tall by 5 1/8" wide. ***NOTE: Limited Quantity Available. Please call customer service for details.